The cultivation of marijuana plants and owning, leasing or operating a grow house is illegal in Florida. This is regardless of whether you were growing the plants for commercial or personal purposes. Furthermore, being involved with the cultivation of marijuana on any level is a felony offense and carries heavy sanctions under the law. The charges you may face will depend on the amount of marijuana being grown and the location of the grow house. Once law enforcement feels that they have enough information, they will then seek a warrant to search your property. We then prepare an aggressive defense strategy that reflects the goals you have for your case as well as aiming at the best possible solution for your situation. As seasoned drug defense lawyers, we are not afraid to defend your rights in a court of law if we feel that it is in your best interests to do so. Our attorneys at The Umansky Law Firm are passionate and effective negotiators who will review the facts of your case, and work to reduce your charges or mitigate sentences whenever possible. We have offices in Orlando and Kissimmee, and we are available at any time, day or night. 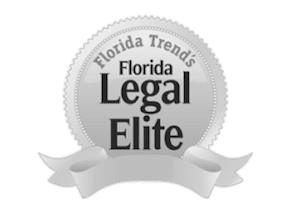 With over 25 years of assisting Central Floridians with their cases, The Umansky Law Firm is prepared to hear out any situation. Our attorneys have over 100 years of collective experience involving drug offenses. Call us today at 407-228-3838 to schedule a free case review or live chat with us 24 hours a day, seven days a week.